It’s no secret that weight loss is a huge industry in America. We love our food and as a result we eat more than we should…gain weight…and then need to lose it. I am guilty of this as well. I am currently trying to lose more than a few pounds. I can tell you from personal experience that it is not an easy thing to do. There are many strategies and ways to lose weight and their effectiveness generally depends on how faithful you are to carrying them out. I ran across an article on another blog (Jen Reviews) titled 11 Best Ways to Lose Weight and there are some great tips in there. Those tips are great but losing weight is still very difficult to do. That’s why there are so many products to make it easier. I’m a mobile app guy so I look for apps to help me in every facet of my life. In today’s post I am going to look at three mobile apps that will help you with your weight loss plan. These are all apps that I personally use myself and they have helped me in my weight loss journey. 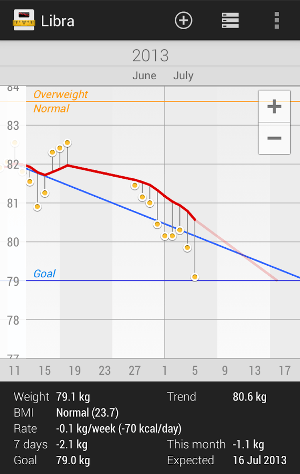 Lose It is my primary app for tracking my weight loss. Think of it as the command center and the other apps are used to supplement it. 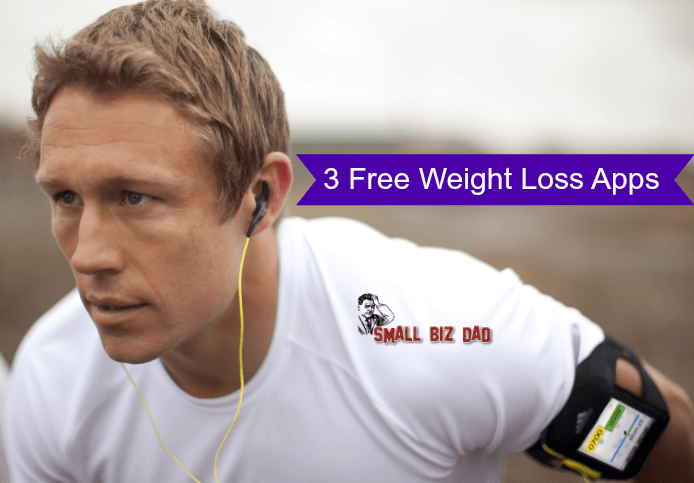 Lose It is free but there is a paid version for $39/year which includes some premium features. I will not be reviewing those features since I only use the free app. With Lose It, you log your food for the day and track your calories. It has an integrated barcode scanner and restaurant database. Besides logging food, you can also log your exercise and record your weight. 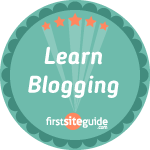 Lose It is a web based tool so you can also access it via the web. I’m very happy with Lose It and I honestly believe it has helped me in my weight loss efforts. MapMyFitness is a great app to track your workouts. I use it for walking you can use it to track over 600 activities. MapMyFitness uses the GPS in your device to track your walk, run, or bicycle workout. You can create custom routes and the app gives you voice prompts as you workout. MapMyFitness also has a web login so you can create routes and log activities online. You can use it to track your food but I don’t use it for that purpose. MapMyFitness works well with other weight loss apps (including Lose It). It sends your workout info to your other app so it can be logged. It also syncs with other devices such as heart rate monitors to help you track your workouts in greater detail. Libra Weight Manager is an app I use that I could probably do without since my other two apps allow me to enter my weight and provides tracking. But Libra goes above and beyond. Libra is a statistics geek’s dream app. You set your current and goal weight along with your goal date and Libra runs with it. Libra shows your data in the form of a chart or list. You can zoom in and out of the chart to view different segments. It also gives you a running estimate of what date you will reach your goal weight if you continue at the current pace. Libra is an app that does one thing and does it very well. I’ve actually used LoseIt and it’s pretty fantastic. It humbles me to see how much my calorie intake is, so I love this app for that! I’ve had to remove it a few times when I just stopped wanting to know, haha. But for weight loss, I would say it’s ideal! I love My Fitness Pal app for tracking my food intake and exercise, although I will have to look into MapMyFitness because I could use the GPS feature that tracks walking, running and bike workouts. MapMyFitness actually works with My Fitness Pal so you can use them together. I used My Fitness Pal for a while also but Lose It is just more polished and user friendly. But My Fitness Pal does give you more with the free version than Lose It. I’ve been using My Fitness Pal and MapMyRun, and both have worked well for me. May take a look at these others as well. 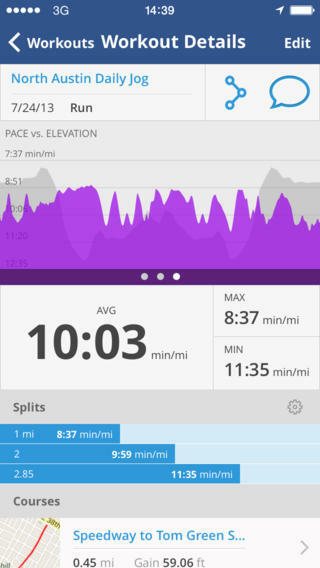 MapMyFitness is basically the same as MapMyRun with the ability to add other activities. I have used My Fitness Pal and my Weight Watchers apps but never the other ones. Always looking for new ones. My wife does Weight Watchers. There is an app that gives you restaurant points but it costs a few dollars. It’s called Restaurant Nutrition and it’s on Android. Thank you for these great app suggestions. They’d also be good for those looking to gain weight!